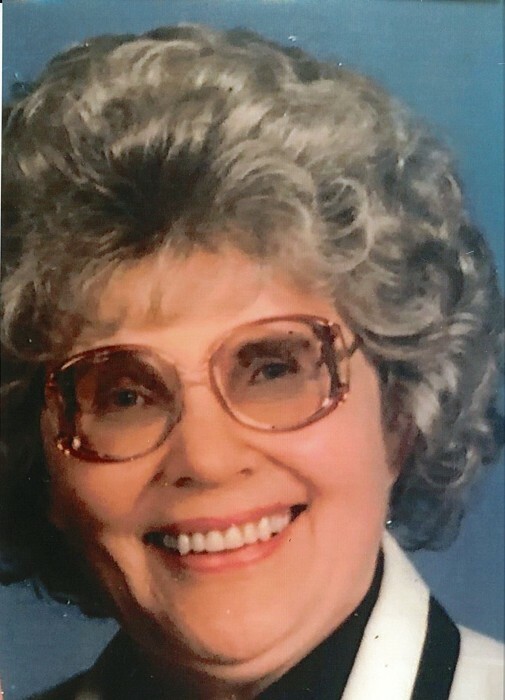 Youngstown - Maria "Chris" Shimek, 92, passed away peacefully Wednesday morning, January 30, 2019 at Omni Manor Health Care Center. Mrs.Shimek was born March 15, 1926 in Dortmund, Germany, a daughter of Fritz and Elizabeth (Teutenberg) Schink. While in Germany, she met James F. Shimek when he was serving in the United States Air Force. They were wed on December 1, 1954 and shortly after their marriage relocated to the United States. Throughout James' military career, they lived in numerous states before retiring to Ohio. Mrs. Shimek worked in retail for a period of her career and managed an apartment building with her husband in Shaker Heights for over 20 years. She was a member of Word of God Christian Fellowship in Canfield. Her hobbies included crocheting, knitting, embroidery, cooking, and going on walks. Her husband, James, preceded her in death on December 13, 2000. She is survived by her two daughters, Mary (John) Dobritch of Canfield and Margie (Chris) Carothers of Canton; a sister, Elli Betge of Germany; six grandchildren, Katherine (T.J.) Kaleta, Theresa Dobritch, Marianne (Michael) Pilolli, Stephen Dobritch, Jessica (Levi) Ramsey, and Jacob Carothers; and three great-grandchildren, Kaden, Samuel, and Aza. In addition to her parents and husband, Mrs. Shimek was preceded in death by two brothers, Karl and Fritz Schink and a great-grandson, Emory John. Per her wishes, a private memorial service will be held at a later date. Interment will be at Ohio Western Reserve National Cemetery. Memorial tributes may take the form of contributions in Mrs. Shimek's name to Hospice of the Valley, 5190 Market St., Youngstown, Ohio 44512.